The skies above Bristol have been filled with hot air balloons after a mass launch in Bedminster to mark the week of the city’s annual fiesta. The fiesta begins on Thursday at the Ashton Court estate and will run until Sunday evening with launches on Friday, Saturday and Sunday. 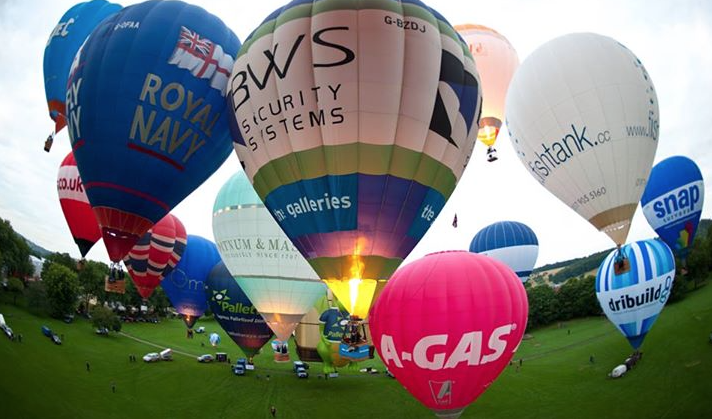 Go to http://www.bbc.co.uk/news/uk-england-bristol-23588518 to see the BBC video which includes our balloon.